Chrichton's World: Review Pacific Rim (2013): A Hollywood Kaiju film that is more Japanese than American. Review Pacific Rim (2013): A Hollywood Kaiju film that is more Japanese than American. Guillermo del Toro emphasized that Pacific Rim is a standalone film and not a homage or greatest hits of the Japanese Kaiju or Sentai films we love. However it is so much more like the films from those genres than the Hollywood ones who fail (apart from Kong) to capitalize on what the films should be about. When I saw Pacific Rim in the cinema I remember liking it but I have to admit that I couldn't exactly recall the fun and epic moments in this film. Now after having seen the blu ray I was reminded and am happy to report that it is very unlikely I will ever forget again. Pacific Rim offers all the things I like in these type of films even if takes some time to get to them. Although in this case the quieter moments are used to deepen the character arcs somewhat. At least enough to grab you emotionally at the times that matter. So it never feels like moments or scenes are wasted. The action is phenomenal since the (few) battles are grand and epic. Every blow or move has an impact on the viewer and when the main characters get hit we get hit. Not once do you get sensory overload like it's the case with Michael Bay's Transformers. Those movies are exhausting while Pacific Rim builds up the excitement and increases your energy levels. The monsters are incredibly well designed and totally ruthless. They never show mercy and in spots are quite menacing and scary without having to show blood and gore. That is quite impressive if you ask me. But while overall the film is serious in tone there is a lot of room for comic relief. I was very glad to see that they did not bother with romance in the film. Maybe just a slight hint but far too subtle that could also be interpreted as a warm and close friendship. I wished more films would dare to avoid romance since obviously in real life this does not happen as often as these movies want to make you believe. 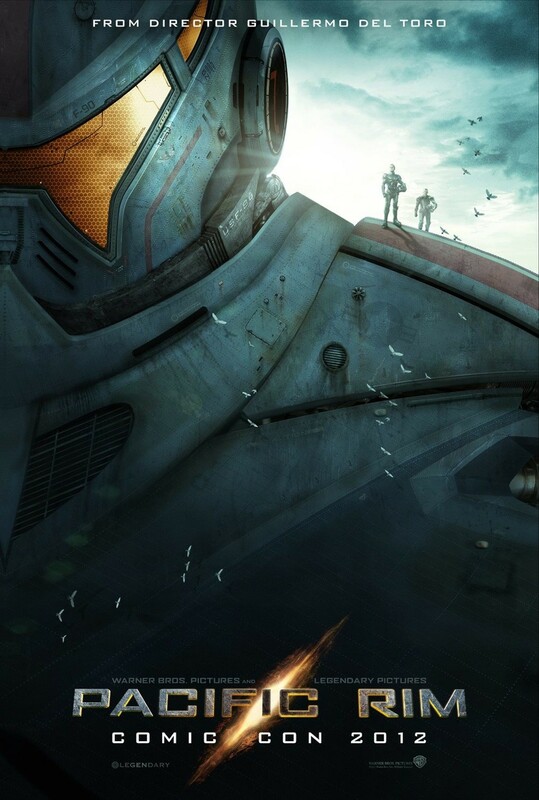 Pacific Rim is a beautiful and action packed spectacle that gets me all excited to watch more Kaiju films. I knew this bloke at a video rental shop and we seemed to like the same kind of films except Japanese monster movies. He could not understand it. Well, there is not that much to understand. You have monsters who want to destroy the world. And that kind of destruction is nothing but fun. Like Pacific Rim. This is one of those films I feel you should at least watch but definitely should own if you are a fan of Tokusatsu.